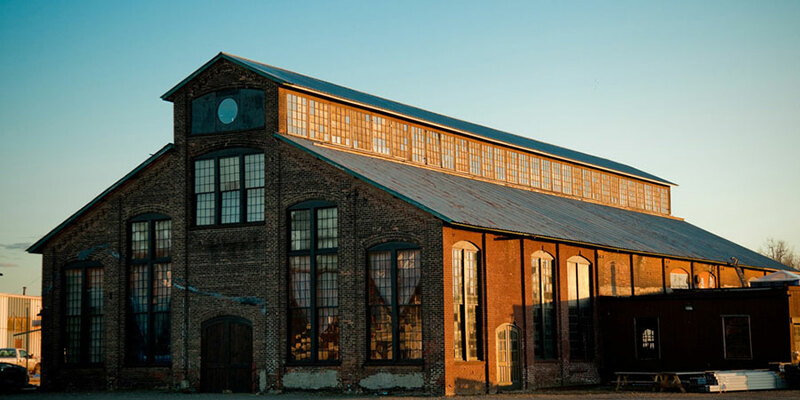 Framed by the iconic Hudson River and Catskill Mountains, Basilica’s variety of indoor/outdoor spaces and abundant light make it a singular site for a variety of event formats, from large-scale receptions to private dinners. Our 7,000 square feet of indoor spaces come with convenient on-site parking. An adjacent parking lot is available for larger rentals, and we have many options for outdoor setups. We have no vendor restrictions, and provide 400-amp electrical services. Basilica Hudson welcomes Community, Arts & Non Profit Partners for space rentals. For more information about space rentals, please contact info@basilicahudson.org Please note that as a non-profit organization, we aren’t able to offer discounted space rental fees and have a limited number of dates available because of the program schedule.